In Australia, the recommended intake of sugar for an adult is 10 teaspoons or about 40g a day. Now tell me, when was the last time you stopped at having just over half of your 600ml (20 fl oz) bottle of Coke? My inspiration for this post came from reading David Gillespie’s two books: Sweet Poison and Big Fat Lies over the weekend. I have a gut feeling that he is right. And while not everyone may agree with David’s research, after all “he is a lawyer, not a dietitian” in the same way I am a public relations person, not a nutritionist; I don’t see much harm in swapping out a glass of Coke for a refreshing sugar-free tea with a dash of a soda water fizz. Do you? 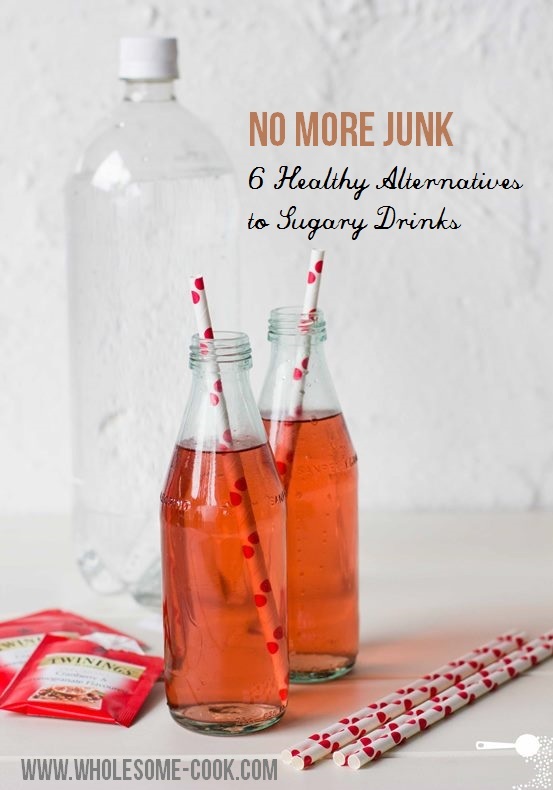 So here it is, a run down of the 6 most popular sugar-laden “junk” drinks and a way how you can make tasty and healthy alternatives using only a fraction of the sugar, if any, compared to that found in commercially-made drinks. If you’d like more junk to whole food ideas, scroll to the bottom, I have some good news! Soft drinks and flavoured sodas. There are hundreds of soft drink varieties around the world and they all have one thing in common. At full strength of say regular cola, or lemonade, they contain 27.5g of sugar per cup. That’s almost 7 teaspoons in a 1 glass serving. Now you wouldn’t put 7 teaspoons of sugar in your cup of tea, would you? Diet sodas are even worse. You might also be interested in trying Kombucha, a fermented and all natural carbonated drink that can also be diluted with water in the same way. I am seriously addicted to this. My current favourite flavour is Twinings Cranberry and Pomegranate tea. I make a pot before I go to bed at night so that it’s ready for fizzing up in the morning. To make Tea Soda: steep 2 tea bags of your favourite herbal tea (tisane) in 3 cups of boiling water. Chill. Add 1 cup of sparkling mineral or soda water. You’ll have instant flavoured fizzy drink with close to no sugar. Not to mention the lack of colouring and other additives. Tea flavour infusions to consider: mint, cranberry and pomegranate, strawberry, blackcurrant, chamomile, lemon. If you really can’t break the soft drink habit, try diluting the sugary drink with water. Start at half half then go as low as 10 parts water to 1 part soft drink. You will be surprised how sweet the full strength version will tastes after a while. Fruit juice. Many people are suprised that juice, hailed to be healthy and containing “no added sugar” and (the added) benefit of vitamins, is often more sweeter than soft drinks. While having 3 teaspoons of sugar in an apple is fine, it takes 2-3 apples to make a full glass of juice and no fibre to hold back your appetite. You do the math. Squeezed unsweetened fruit syrups are also good to add a touch of flavour to water (a teaspoon for every 1 cup is sufficient). This used to be my drink of choice as a child, and has remained a favourite everytime I go through a phase of not liking plain water. It’s tasty and refreshing and much gentler on the teeth, the body, and the pocket than fruit juice, no matter the health claims. To make Lemon Water: add a teaspoon of lemon juice to a glass of water and mix well. While you are still having juice without the added benefit of fibre, lemon juice has quite a strong taste which won’t disappear when diluted 10:1 in the refreshing concoction. Sports drinks. I’ll start from the obvious: bright blue, yellow and red screams artificial colouring. Then there is sugar, about 16.5g per cup. Sure many of the drinks claim to have the added benefit of vitamins and minerals, but that’s what they are – synthetic versions of the vitamins and minerals created in a lab. Sorry, but no thanks. I’ve tried all sorts of coconut waters recently and while getting the stuff out of a young coconut yourself can be satisfying and fun, they can be hard to store in bulk. There are a number of different coconut water brands on the market, so give the unflavoured variety a try or buy whole young coconuts and that way you’ll also be able to use the soft flesh for smoothies. It’s a relative newcomer to the drinks market, but unlike so many sports drinks and vitamin waters that can be as much as 40 per cent sugar, coconut water is an all natural, single source drink that is not only relatively low in sugar compared to regular sports drinks, but it’s a great source of natural potassium which helps our body reach optimum hydration and recover after exercise. To make Coconut Water: open (young coconut or container) and sip. Flavoured Milk and Milkshakes. I hope you’re starting to see a pattern. This one frustrates me a lot because it is mainly aimed at children. And ask they do. Again, if you look at any nutritional label of a commercially-made flavoured milk, I bet you that one of the first ingredients you’ll see on that list (in Australia they are required by law to be in descending order), will be sugar, about 25g (or 6 teaspoons) per cup. There is also most likely to be artificial flavours – who has seen a banana as yellow as its skin? The same goes for milkshakes as most of them are made with a sugar-based, flavoured syrup that has as much to do with the real fruit whose flavours its trying to imitate as I had to do with the fall of the Berlin wall. And Diet Shakes are even worst – UltraSlim vanilla has 32.4g of sugar per cup – that’s over 8 teaspoons of sugar per 250ml! Milk is naturally sweet from lactose – a sugar that’s ok to have because it behaves differently to table sugar (for more detail see David’s books). Naturally, I find there is no need for added sweeteners. So far I have been succesful in suggesting my healthier alternatives, and I often enjoy a little glass of Cacao milk myself as an afternoon treat. The kids and Mr often prefer vanilla flavoured milk, so I use Queen organic vanilla essence, a teaspoon or so per cup. It really isn’t that hard to cut out the nasties here, you just need to learn to say no to the convenience-alternatives. To make Chocolate Milk: try adding a teaspoon or two of cocoa powder or cacao nibs blended in a little hot milk. For a milkshake add 1/2 an avocado or a couple of cubes of frozen coconut cream and blend. To make Vanilla Milk: use a teaspoon of organic vanilla essence instead of vanilla syrup. For a milkshake add 1/2 an avocado or a couple of cubes of frozen coconut cream and blend. To make Fruitty Milkshakes: and add half of a fresh or frozen banana or 4-5 strawberries per cup before blending to make healthier versions of the classic milkshake flavours, with the natural benefit of fibre. Bottled and Powdered Iced Teas. Don’t be fooled by pre-bottled mixes, advertising their antioxidant properties and so forth, because we live in times where floor polish is made from natural lemons, while lemonade is made from lemon-like flavourings concocted in a lab. Lipton Iced Tea with Lemon ingredients’ list reads as follows: Water, High Fructose Corn Syrup, Citric Acid, Instant Tea, Sodium Polyphosphates, Natural Flavor, Phosphoric Acid, SodiumBenzoate and Potassium Sorbate (Preserve Freshness), Caramel Color, Calcium Disodium EDTA (To Protect Flavor) and Red 40. It also contains almost 17g of sugar per 250ml. Enough said. I have to say that in summer I like to enjoy a big glass of lemon iced tea like this. It’s much cheaper to make it yourself, and extremely easy too. You can even make a larger batch and just keep in the fridge in a jug or a bottle. A simple iced latte is actually how I prefer to have my morning coffee in summer or when I’m busy rushing around and I need a caffeine hit but don’t want it to warm me up even further. You could add a teaspoon of natural vanilla extract for extra sweetness or instead of the flavoured syrup commonly added to coffees. I’m in love with tea soda and must try it today! I’m a water sort of person and rarely drink sugary stuff. I EAT sugary stuff, that’s my problem. I’m off to buy tea! Pinning! Great post with good healthy options and ideas! 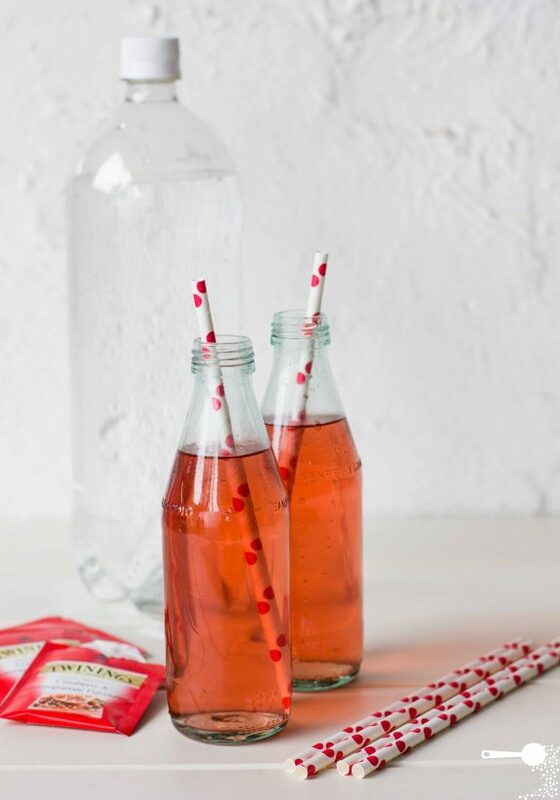 I love the polka dot straws! Great work, Martyna! On your e book too!! Yes even though we’re not a David Gillespie fan (sensationalism, demonising single nutrients etc), it’s always great to limit added sugar when you can. These ideas are fantastic, great recipes! I’m excited for your e-book, i can’t wait to see what’s in there. Thanks Laura! 🙂 Lots of yummy food! What a fantastic post Martyna. I am getting into herbal tea ina big way so the tea soda idea is something I really want to try out! Thanks Anna, it’s really nice – experiment with a few flavours before you find the one that works best for you! Thank you x 100, Martyna: post of the week and one of the posts of the year! And, yes, I have done my six years of medicine and studied nutrition for more than two decades and felt like screaming seeing people buying soft drinks, so-called sports drinks, ready-made ‘iced’ coffee and tea etc. Sugar is now regarded as a bigger enemy than fat: so few people seem to know or be paying attention! 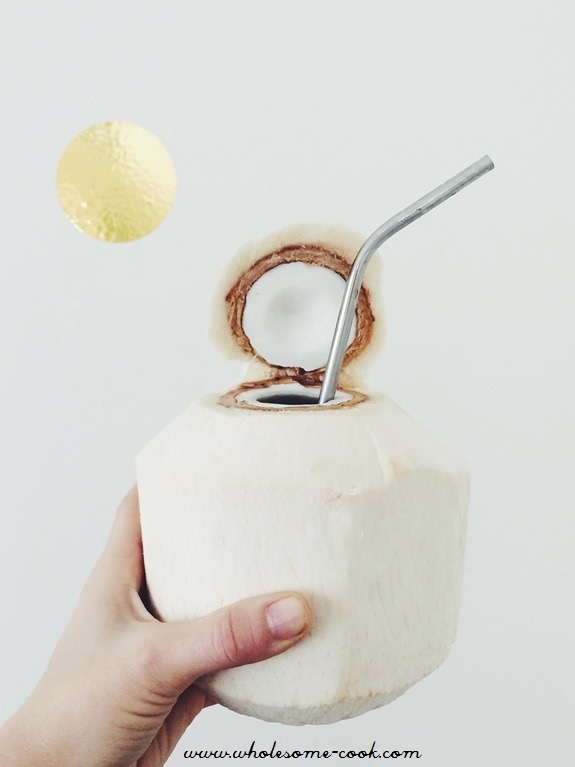 Personally I am happy to drink about 2 l of plain water a day, but use all of your other ideas – the coconut water being new and very interesting to me! Thanks for the tip! Can’t wait for your eBook – congratulations ahead of time and have a happy weekend!!! Love these ideas for me and kids. I’ve been making some cordial with a thermomix that I had on loan. Awesome, you can control the sugar and so cheap! How does the avocado go in the milkshake? Really? Can you taste it? Hey Lucy! Cordial in a Thermomix sounds interesting, and good in the fact that you can control the sugar, could you replicate it without the exxy machine? As for the avocado, it has a fairly mild flavour already so once you blend it into the milk, you really can’t taste it, or see it – milk doesn’t turn avocado green. I used to hide it in Mr’s drinks but now I just tell him, he prefers it that way. Fab. I’m going to try the avocado for sure. And the tea. I’m done spending $4 on bottled juice at work. Great post! Very inspiring. Home-made alternatives are always healthier than industry processed foods. I’ve also read Big Fat Lies. Very controversial book, I thought. Hi Martyna, what a great post. I avoid full sugar fizzy drinks for the obvious reasons.They’re such empty calories and a diet substitute doesn’t taste too different. Not that the diet ones are any better in their own right. But all your soda alternatives are really inspiring, just a shame the weather in the UK here is horrendous today so I’ll be sticking to a nice a cup of hot tea for the time being. Yes, I’ve heard that Summer hasn’t been kind to you guys. Thanks for you kind feedback David – I’m the same on Diet drinks, sugars made in a lab (chemicals essentially) freak me out a little. Hopefully the weather will improve and you’ll be sipping on a simple but tasty iced tea very soon. Perfect timing as the kids are getting off school for summer holiday in other parts of the world and moms need some sugar alternative drinks ideas and support. brilliant post martyna. i especially love the tip for the fruity tea soda, i am going to try. we have a soda stream and i normally make soda water and add a bit of lemon juice to sweeten, i think the tea sounds so much nicer. twinings make some great fruit infusions too. tonight my husband told me that he was drinking an iced coffee everyday at work. i’m surprised he is not a diabetic after reading about how much sugar is in it, it never occurred to me that iced coffees had so much sugar. Thanks Jen! I’m a bit of a coffee fanatic, and a label reader, so I have stopped drinking those iced coffee mixes long time ago. Mainly because I realized there was very little coffee in them and since I don’t have much sugar anyway I found them sickly sweet. and this way you get to control the strength as well. i used to drink iced coffees regularly too, they are very sweet. i used to think that because it was 98% fat free that it was ok to drink, not ever thinking about all of the sugar in it! i think i could make a nice iced coffee for hubby to take to work, i might start doing that when the weather starts warming up. i love the iced fruit tea drink idea. i brewed up a couple of Cranberry and Pomegranate teabags yesterday and added some soda water. loved it! a great alternative when the soda water with lemon juice gets a bit boring. i think this is the best post i have read on your blog (in my humble opinion). very informative. thanks martyna. Thanks Jen! Yes, I too got bored with writing reading about myself 😉 Seriously though, I enjoyed reading the books and sharing what I thought was a reasonable approach to the issue. Glad you liked the tea ideas and I’m sure you will love the coffee. A note on fruit in tea – my Dad puts sliced apple into his and lets it infuse overnight. I prefer citrus, but don’t let that stop you. Experiment with other herbs and fruit. Thanks for all the great information and reminders! And congrats on your new book coming out – that is awesome!!! This is a great post .. there are so many healthier, simpler alternatives; if only people didn’t always reach for convenience or the obvious. Never been a soda fan. I have probably had Coke about 10-15 times in my entire life. Water is my drink of choice and plain cold milk! Yum 🙂 Congrats on the ebook, looking forward to it! What a great post!! So many healthy and delicious options over sugary drinks. I’m not one for sugary drinks. If I’m going to have sugar I’d rather have a slice of cake or a biscuit, so instead I drink herbal teas or water. 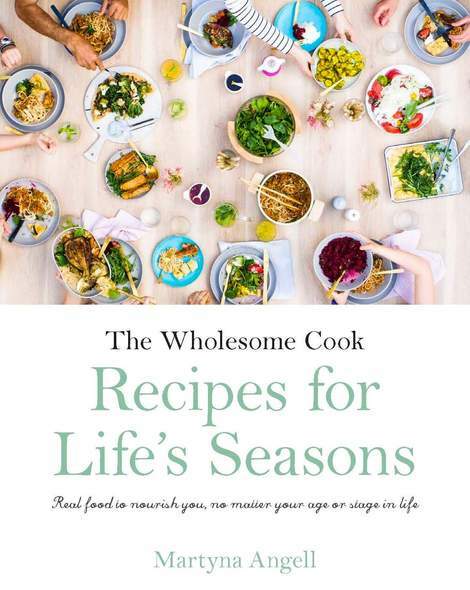 Congratulations on the launch of your new cookbook too! Came across this post through link shared on FB. One habit that I must change though is chocolate milk/hot chocolate every morning. Been having Milo/Ovaltine with milk ever since I can remember. I totally agree that it’s not easy, and I understand that certain foods and soft drinks have gone hand in hand for decades so it’s hard to break that link. The easiest thing I’d recommend, and that’s what I’ve done for Mr, is diluting the drinks to start with so that you still get a little of that flavour. And stocking the fridge with batches of chilled fruity or lemon tea. GOOD LUCK! good suggestions, i am not really a soft drink person. my kids dentist is so against soft drink it always makes me think twice too…. i love these ideas! lemon water is my favorite! I adore this post; this is a post after my own heart. It echoes my own food beliefs. Thank you so much for sharing this. You are most welcome Awanthi, it’s such a simple principle and one hat I’ve found to work well for me. I’ve been going through your blog, reading your posts. I’m very happy to have found you through Twitter. It’s always nice to find a new wonderful blog to follow! I really wish I could buy your books in print 🙂 please consider publishing!! Hi Martyna, Thanks for these beaut ideas for healthier low sugar drinks. I have to correct you on something the Australian Government’s NHMRC Australian Dietary Guidelines do not reccomend an intake of 40g of sugar per day. They are not that specific, they recommend people limit their sugar intake. Recently, the WHO leaked a report they are producing on sugar and this has the one of toughest stands yet of an ‘official’ document and it recommends people only intake about 35-40g/day. It is probable the WHO report will not see the light of day because the big sugar producers are urging the US government to reduce the countries funding to the WHO. I found your website, because I have just convinced our school to not serve soft drinks at their school fete and I am looking for a cheap healthy alternative to serve the punters. Thanks. Don’t forget tomato juice spiked with horseradish, lemon, s&p everything including the celery, sans the alcohol. It comes prepared too but I haven’t checked any sugar content….but surely will now. Too easy. Sobering. Wow. If you make your own horseradish………really WOW. When my mom and dad made it….they were in the garage with the grinder AND THE GARAGE DOORS OPEN and I was all the way on the other side of the house, upstairs….and my eyes started to water. Surely enough, I went downstairs and they were making horseradish. God bless them both. My dad, unfortunately is with Alzheimers and mom is 80something and is the epitamy of the new 80 being 60. Honestly I am going to try this and come back after a while for the response…. Am trying my best to avoid junks and sugary staffs….. Av screen shoted everything and I’ll try everything… Thanks a lot for the recipes and the knowledge you’ve given me online……. Stay blessed…..
Than you for this lovely tips Martyna. I remember many of my schoolmates female and male picking out the cheapest most sugary no name sodas in the fridge or popsicles to go along with their fries. This only usually added 50 cents to your total tab for the day so it always fit perfectly into your budget as a young person. As an adult watched kids make similar choices as I stopped at neighborhood stores to pick up dinner or shop a little next door at the drugstore or beauty supply store. It is very common for people of the community that I grew up in to pick the most sugary alternatives. Many of the sodas available in local carry outs contain more sugar than your average name brand soda. I don’t advocate switching from sugary drinks to tons of artificially sweetened drinks either because too much of those chemicals probably aren’t good either. Many green and white teas available on the market today have 50 calories or less in them and are available in 12 packs or more at your local grocery store or drugstore. Bottled water is another option. Sometimes just having the water there conveniently in a bottle will motivate you to drink it instead of paying extra money for the soda.